Successfully Added Xiaomi Redmi 4a Android Smartphone - 5 Inch Display, 2GB RAM, Quad Core CPU, Android 6.0, 4G, Dual SIM (Grey) to your Shopping Cart. The Xiaomi Redmi 4a is a beautiful 5-inch phone designed to bring you all the essentials in a nice package without breaking the bank. At this price range the quad-core CPU, 2GB RAM, and HD screen stick the optimum balance between performance and efficiency. So it can handle all your daily tasks such as multitasking, surfing the web and even play a good range of games without dropping frames or suffering from undue lag. This Xiaomi phone runs the custom MIUI 8 operating system which is based on Android 6.0. This brings a smooth and intuitive interface that takes the best of Android 6.0 and gives it a Xiaomi flavor with some extra customization options. Now you can really personalize the phone just the way you like. As you would expect from Xiaomi the Redmi Note 4a comes with a nice design and minimalist look. It doesn't have all the bells and whistles of their higher priced models but you'll find a competent camera, a bright screen and sleek modern feel from the metal unibody design. There is a 13MP camera that adorns the rear of the phone and lets you snap great quality pictures. Great for capturing those memorable events from a day or out or evening on the town. The phone has 16GB built in storage that can be expanded via the SD card letting you add a further 128GB of room. It has good 4G network support for fast data connectivity on the go and if you don't need the micro SD card slot you can enjoy the benefit of two SIM cards to manage work and personal contacts all on the same device. This can also allow you to avoid roaming costs when traveling. Packing a substantial 3120mAh battery means you'll have the enpugh juice to get through the day and keep entertained on a single charge. 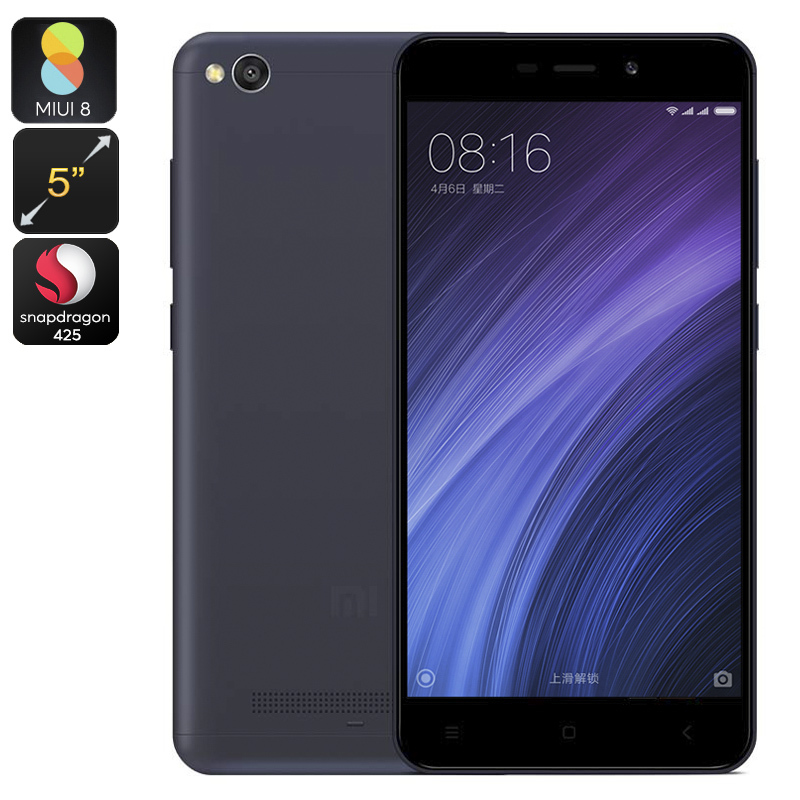 The Xiaomi Redmi 4a cell phone comes with a 12 months warranty, brought to you by the leader in Android phones as well as wholesale electronic gadgets..